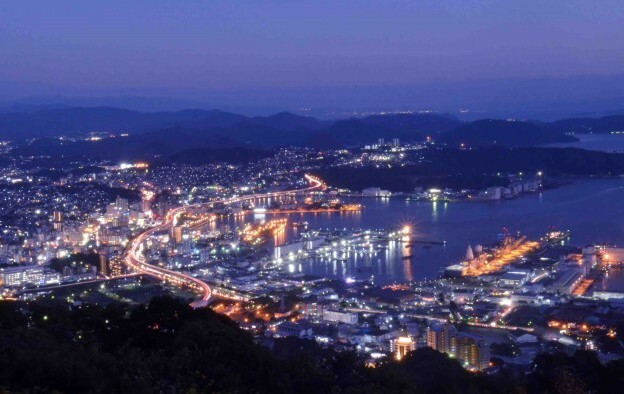 A business body in the Japanese city of Sasebo (pictured) in Nagasaki prefecture is said to have struck a deal with an external marketing company as part of the community’s effort to attract a casino resort development under the country’s liberalisation process for such business. Sasebo, on Kyushu, the most southwesterly of Japan’s four largest islands, is said to be especially interested to bring casino investment to the Huis Ten Bosch amusement park located in the city. That facility replicates famous buildings and architecture from the Netherlands, but in a semi-rural Japanese setting. In December the Nikkei Asian Review newspaper reported that Chinese conglomerate Fosun International Ltd wanted to buy a near-25-percent stake in the park’s operator, Huis Ten Bosch Co. According to that account, Fosun was interested in trying to bring up to 200,000 Chinese visitors to the park annually, relative to the 184,000 foreigners from all markets currently said to visit the attraction each year. In February Huis Ten Bosch Co stated it was no longer pursuing a deal with Fosun International. Chinese consumers are major targets of casino resort operators across the world because of their reputation for enjoying many forms of gambling. It was announced in a press release carrying Monday’s date that Sasebo Chamber of Commerce had selected Hogo, a Macau-based marketing agency, to generate interest – via public relations (PR) efforts within the prefecture itself – for a casino venture. The initial phase of Japan’s liberalisation allows for up to three resorts, with the locations to be chosen by the national government once local authorities have made their respective pitches. As part of the tie up with Hogo, the Sasebo Chamber of Commerce and business leaders in the surrounding region are due to visit Macau in the second quarter this year, to view the operation of the casino sector in that market, said the marketing firm.